ARLINGTON, Va. - Within the Capitals’ fan base, there has been a good bit of hand wringing and teeth gnashing in recent weeks. Among the fraternity of NHL general managers, there was some calendar watching and hopeful lineup projection. But in the end, the guy making the decision put an end to all the speculation before it could get started in earnest. 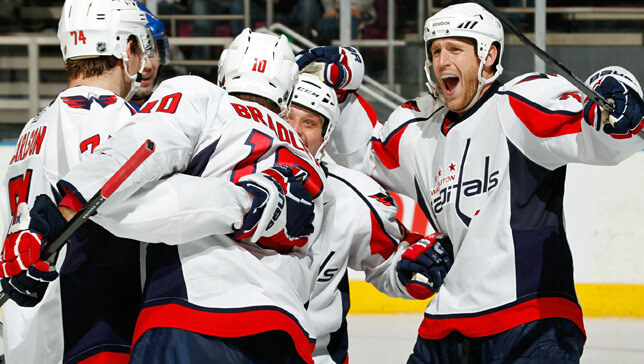 Brooks Laich never wanted to leave Washington, and he won’t be doing so anytime soon. Laich and the Capitals will announce later today that the center has signed a six-year contract extension worth a total of $27 million. The deal was struck just three days before Laich could have tested the open market with unrestricted free agent status. If there was one person who was immune to the stress and anxiety that his impending unrestricted free agency might have caused, it was Laich himself. 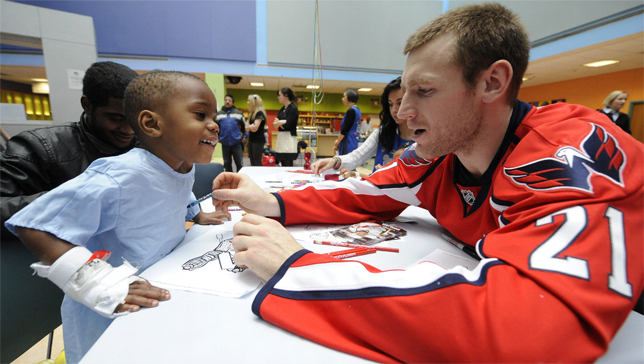 “It wasn’t very stressful at all,” says Laich of the negotiating process. “Washington was easily my first choice. I gave my agent instructions that I fully intended to return to Washington and that was my only choice. I wasn’t looking to test the market. The deal came together late last week and was done in principle prior to the 2011 Entry Draft this past weekend. Getting it done before then was important to Laich as well. He didn’t want to drag it out to July 1, or even to last weekend. “It came down to running the risk of losing Washington, was what it was,” says the 28-year-old center. “I knew unrestricted free agency was a week away, but I didn’t want to run the risk of going through the draft and have Washington trade a draft pick or trade a player or something for somebody that could do my job with them thinking that I’m not planning on returning. Laich didn’t want to lose Washington, and Washington didn’t want to lose him. The Caps wanted Laich back because they know what he brings to the table – he’s spent six seasons here already – and how difficult it would have been to replace him. “He’s really important to this team,” says Caps general manager George McPhee. “This guy is committed. I think lots of other teams were going after him. This is an important guy for us. “Whenever you’re negotiating these contracts, you have to look at what is the best alternative in the event that this deal isn’t done. And we didn’t see anyone else out there that could do what Brooks does for us. But that wasn’t really what drove this deal. What was driving the deal was that we think he’s a really valuable player for our club. How many players in this league can do what he does? We believe he should be a Selke [Trophy] nominee because he’s really good defensively. Ironically, that trait of versatility in Laich that the Caps value so much and employ so liberally – as well as the young core and competitive team in place in Washington – were factors in sealing the deal in the center’s mind. “At the end of the day, you sit back and you look at yourself and your situation in Washington,” states Laich. “I have everything I’ve always dreamed of and worked for in playing hockey. I have a team that has a chance to win a Stanley Cup every single year, with young players and a core group of players that are going to be competitive for a long time. I’ve got an organization that likes me; I play 20 minutes a night, power play, penalty kill, five-on-five. I’m a guy that’s relied upon. Looking around the league, the player with the most similar deal and skills set might be Nashville’s David Legwand, who inked an identical six-year, $27 million extension with the Predators in Dec. 2007. Vancouver’s Ryan Kesler (six years, $30 million) and St. Louis’ David Backes (five years, $22.5 million) also signed similar pacts within the last 16 months. While Laich may not deliver the offense of Backes and Kesler, he is one of the league’s most versatile players and is also brimming with the intangibles that coaches and general managers are always seeking in their players. 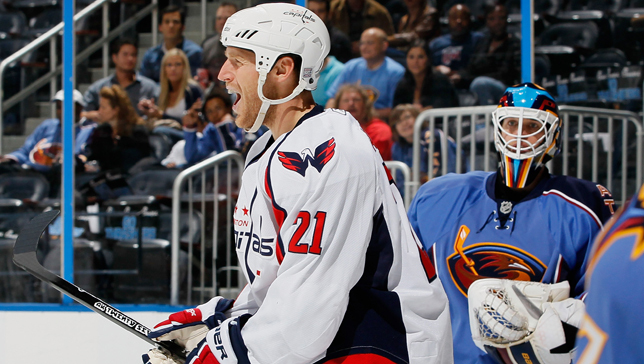 “He is a guy who comes to the rink every day trying to get better,” says McPhee of Laich. “We’re not just blowing smoke. Nobody practices as much as he does, no one is ready to practice as much as he is. No one comes to camp in as good of shape as he is. He’s a real good pro. He’s made himself a valuable player. When it comes time to talk contract, it can be tricky to place a value on some of those intangibles that aren’t easily quantified. “There are certain metrics you can use for all players, and we do,” says McPhee. “But we’ve always said there are two sides to the ledger when we’re evaluating players. One has those tangible things that you can see and measure and then there are those intangibles that are every bit as important. Some of those are leadership and character and commitment. Those are some of Brooks’ biggest strengths, the things that he brings to our locker room. We placed a high value on those. One other factor in Laich’s favor was his natural position: center. There is a dearth of quality pivots in the league right now, and having strength up the middle is of vital importance to a contending club. With Nicklas Backstrom, Marcus Johansson and Laich manning the middle, Washington is in good shape. With Laich off the free agent market, a thin position is even thinner. Veteran pivot Brad Richards is available, and Laich had been considered the second best available option after the former Conn Smythe Trophy winner. Now, there is a significant drop-off between Richards and the remainder of the field among pending unrestricted free agent centers. “It was something I didn’t want to experience. Just thinking about it that way, if you’re missing out on that it really puts it in perspective how much you want to be back. Laich first came to the Caps in a controversial deal that sent fan favorite Peter Bondra to Ottawa on Feb. 18, 2004. 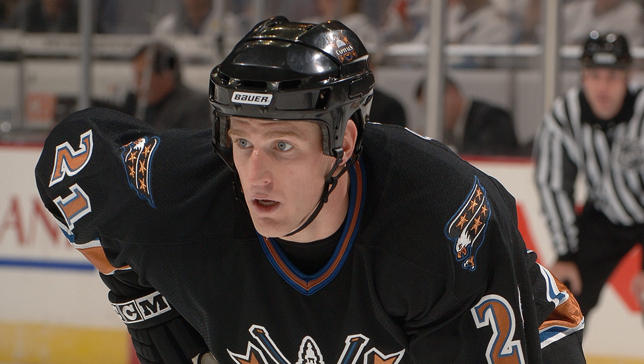 At the time, Laich was a 20-year-old first-year pro. Bondra has played in more games as a Capital than any other forward in team history, and Laich has played in fewer than half (474) of Bondra’s total of 961 games played. But Laich will have a chance to chase down the player for whom he was traded. Laich now ranks 13th all-time in games played among those forwards who’ve played in Washington. He surpassed Craig Laughlin, Jeff Halpern and Gaetan Duchesne on that list last season, and can blow past the likes of Bob Carpenter and Dave Christian in 2011-12.